There was so much information released during last weeks Disney’s Investor Day presentation, it was easy to miss something and one thing that eagle eyed fans spotted during a demonstration of how the app looks, was the first image from the live action version of Lady and the Tramp. This movie is a timeless re-telling of the 1955 animated classic about a prim and proper house dog and a tough but lovable stray who embark on a series of adventures and, despite their different upbringings, grow closer and come to understand the true meaning of “home.” Starring Tessa Thompson (voice of Lady), Justin Theroux (voice of Tramp), Kiersey Clemons (Darling), Thomas Mann (Jim Dear), Janelle Monae (voice of Peg), Yvette Nicole Brown (Aunt Sarah), and Sam Elliot (voice of Trusty). 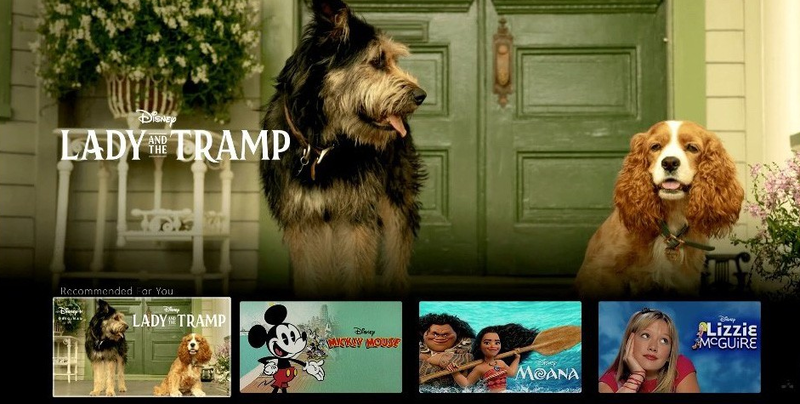 Lady and the Tramp will be exclusive to Disney+ and will be available on launch on November 12th. What are your first thoughts on how Lady and the Tramp looks?